Your body naturally performs functions that act to detoxify, maintain homeostasis and allow healing to occur. These include the daily dialysis of blood by your kidneys, which rids your body of harmful waste, the control of blood sugar levels by the pancreas and liver, the fighting of infection by the lymphatic system, regulation of acids and bases by the lungs, as well as many other important tasks. When toxins find their way into your blood they disrupt your body’s homeostatic process. The human body is built to respond by purging these toxins as waste. However, in order for you to effectively reset, you must first stop the toxification incurred through harmful lifestyle and dietary decisions such as the intake of alcohol, caffeine, processed foods, and for some people, dairy. If you drink only juice, you leave out every mistake whilst still taking on the nutrition you need from protein, carbohydrates, fat, organic salts, vitamins and minerals, such that you keep all of your necessary functions working as they should. During a detox, you should consume no alcohol, no coffee, no tea (other than herbal teas), no solid foods, and make sure you have plenty of rest. Isn't it true that our bodies are capable of detoxing and cleansing naturally? If so, why should I partake in the cleansing trend? It is definitely true to say that our bodies cleanse naturally and constantly. We like to think of our cleanse program as an occasional way to pause and reflect from hectic normal life routines—and to take a dietary choice with us. Historically cleansing/ detoxing was a way to bring balance back into people's lives. So, while it is only being incorporated into dietary practices in the past few years by the masses, cleansing is certainly not a trend. Who should do a Juice detox? In our minds, adults can benefit from a detox program as a regular part of their lifestyle regimen but no more than once a month. Whether you are a stressed out workaholic or a stay-at-home mom, the truth is that life is no longer as simple as it once was. We are all busy and struggle to find time for ourselves and often our health suffers as a result. Detox programs are designed for adults to enjoy, even those of you who are lactose-intolerant and keep a vegetarian or gluten-free diet. Children under 18 should not participate in our detox. **Please keep in mind that our detox programs are NOT appropriate for those of you who are pregnant, breastfeeding, or suffer from certain medical conditions. Consult your health care provider before starting a detox program if you have a medical condition or take medications. Please see questions 3 & 4 for more information. Our detox programs are designed for all healthy people; however, there are certain individuals who should not partake. If you are pregnant or breastfeeding, you should not restrict your diet to liquids, as you need extra calories and nutrients in your diet. Consult your health care professional if our drinks are right for you. Will I really be able to handle a juice detox? While committing to a detox program requires a level of dedication, it is not designed in any way to starve you. The goal is to feed you through highly nutritious liquids. Our programs are perfectly workable with your daily schedule- we are not talking about a master cleanse here. 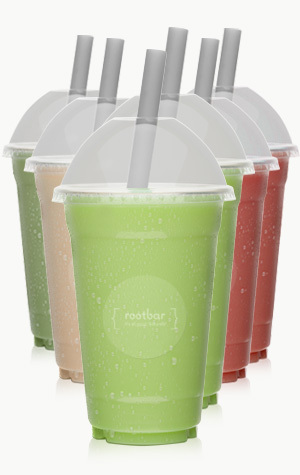 You will benefit from the effects of our citrus drinks and green juices, and get an added boost of vitamins from our root- and nut-based drinks. If at any point you find yourself needing a bit more, read our “During” the detox section for ideas. Believe in yourself. Although this is a departure from the ways you are used to feeding yourself, you will be thankful you did it. And don't forget that you can always call or email us for support. Am I going to lose weight on a detox? The answer to this is variable. Your body knows what to do, so trust it. We try not to focus on weight loss as a goal, but we understand that it is important to a lot of people. You might also find that the detox actually prompts your body to re-balance itself. What's the difference between Blends and juices? A blend is a beverage that is blended (with a blender) from whole pieces of fruit, vegetables, and other ingredients. 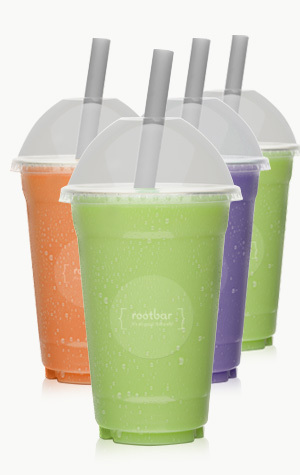 The outcome is a nutrient rich, thick and filling shake. Juicing, on the hand, involves a liquid extractor (juicer) that separates the juice and the pulp into different compartments. Juice is a thin and liquidy drink that is also nutrient packed, but more hydrating than filling. One of the main advantages to blending, over juicing, is that blending maintains all parts of your ingredients, including fiber, which is essential for digestion. How many calories are in your BLENDS? WHICH JUICES SHOULD I DRINK AND WHEN? The main benefits of JUICING or BLENDING, are that you are avoiding dietary mistakes, therefore it doesn’t matter in which order you drink your juice/ blends. 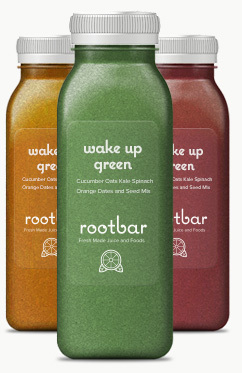 All of our juices/blends flood your body with useful vitamins, minerals, and phytochemicals. Drink as much as you feel comfortable with and if needed, complement your diet with hot water, lemon, ginger and raw honey, or otherwise a small amount of herbal tea. We have made a few recommendations above, but you can also pick a collection of your own to suit your taste! Leading into a liquid detox, do not consume alcohol or caffeine, and don’t binge eat on highly calorific, fatty foods; these will only make you feel hungrier at the start of your programme. It is also worthwhile to avoid processed foods for at least one day before you start. After the detox, it is also important to ease out gently through eating lightly and by slowly introducing solids. One can consider experimenting with a raw food vegan diet either before or after your programme, as this can be a great way to extend the duration of the detox. Remember, healthy doesn’t have to be hard! HOW LONG SHOULD I Juice detox for? Everyone's needs and goals are different. 1-day resets are a starting point for anyone interested in the juicing process, but 3-5 days is a period perfectly suited for beginners and effective for first-timers. Our juice/blend deliveries are made to order, and will remain fresh for 1 day assuming that they are refrigerated upon receipt of your package. As such, you will receive a delivery every day regardless of the package you choose. Are the juices definitely fresh upon delivery? How do I store them? 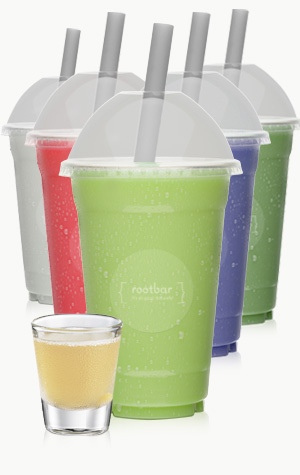 Your juices will be delivered straight to your doorstep in a recyclable cooler with ice packs. Just take them out of the cooler and put them straight into your fridge. We produce every juice to order each morning, ensuring freshness and quality. Can I add extra beverages to my day of detoxing? We are totally for adding extra drinks if you feel you are in over your head with drinks delivered per day, but make sure they are healthy! Stay away from carbonated drinks, especially soda, please! You are more than welcome to add extra doses of water with lemon and herbal teas. And if you would like to order extra juices from us to keep on hand for emergencies, feel free to go ahead and do so. Definitely, just try to be gentle with yourself. You are still getting nutrition, but it is wise to beware of lower volume of foods. You will most likely find that you have lots of energy and if you so desire, go for a light jog or power walk around the neighborhood. Otherwise it's always a great idea to stick to yoga or pilates for that added effect of intense breathing to help you maximize your detox. Can I do work on a detox & what if I have to focus on important meetings? There is a big misconception that you will spend the entirety of your detox in a brain fog. Fortunately, it's simply not true. So don't worry about work, just go on with your normal life. Remember that your body and mind are getting nourishment with your day’s intake already planned out, leaving you with less focus on where or how you are getting your next meals. Just try to stay away from the donuts and coffee in the conference room! Absolutely! We like to think of ourselves as the modern (dairy-free!) milkman. We are here to bring fresh drinks straight to your doorstep as often as you would like. In order to make it easy on you, we provide packages which allow you to set up multiple deliveries each week for a set price. We love to see our clients make fresh pressed juices and drinks a regular part of their life. Should I do a 1 day, 3-day or a 5-day Juice detox? This depends on what you would like to get out of the fast. Juicing for 5 days is a deeper, more intense experience than juicing for 3 days. It's up to you and a health care professional to do an evaluation of where you are in your life and from there decide what works best for you. You always want to plan your juice detox for a period of time where you have some flexibility in your schedule and can make your body your top priority. Of course, you can always customize the program to last even longer than 5 days if you so desire. Listen to your body. If you are inexperienced, we recommend starting with our 1 day reset. You can always move up in your level, it is all about where you are when you are ready to embark on the experience. How often can I Juice? This is a personal decision that should be discussed with a health care professional. Many people like to juice whenever they start to feel seasonal health challenges. This can mean anywhere from once a month to once every three to six months. However, we advocate making JUICES AND BLENDS a part of your daily life, whether you are cleansing or not. Consuming the nutrients in our drinks on a regular basis will support your system and keep your body in optimal shape, inside and out. QUESTIONS TO ASK YOURSELF IF YOU ARE IN NEED OF A JUICE DETOX. IF YOU ANSWER YES TO MORE THAN 3 OF THESE YOUR SYSTEM NEEDS A BREAK!!! Do you eat green vegetables with less than 1 meal each day? Do you eat less than 2 servings of fruit each day? Do you consume more than 5 alcoholic beverages every week (i.e. a glass of wine, or a mixed drink)? Would this be the first time you’ve done a 3-5 day juice/raw food cleanse? Are your main sources of protein animal based (fish, poultry, beef, dairy, eggs)? Do you consume “white foods,” such as unrefined sugars or flours (in bread, pasta, cookies, crackers) at least 3 times a week? Do you drink less than 8 glasses of water per day? Do you exercise less than three times per week? Do you consume packaged, restaurant, or take-out meals more often than homemade meals? Do you use artificial sweeteners or white sugar? Do you drink caffeinated drinks regularly? Do your meals regularly consist of combining animal products with starch foods (i.e. pasta with chicken; meat with potatoes)? Do you normally need a packaged snack like an energy or candy bar to get you through the afternoon? Do your main sources of fruits and vegetables come from processed “foods” (i.e. fruit snacks, tomato sauce, frozen fruit desserts, pizzas) or as a compliment to a burger or sandwich (pickles, iceberg lettuce, ketchup, onion)? This high energy package keeps you juiced up through the day until you have a solid meal for dinner.